Love the "Find Your Car" ZUS app! 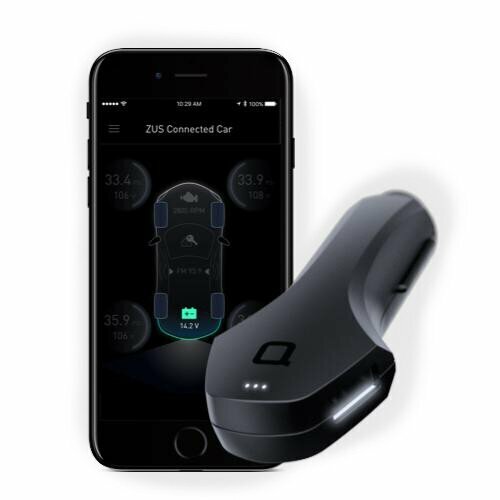 I was a Beta tester for ZUS back last October. I'm happy to see so many improvements from Nonda in the last 8 months. I got this ZUS with the 2 reversible ports 2 weeks ago and I LOVE it. Charging is pretty quick just like the first ZUS version, I was able to charge my iPhone 6S battery from 15% to 60% during a 35-40 min commute. But the cool thing is that with the reversible USB ports, it doesn't matter which way I plug in my lightning cables, it'll work. The ZUS app is my favorite part. I don't need to remember where I parked my car anymore. I've recommended it to all my friends, and bought 2 for my parents, who often get lost in the mall parking lot. If you are on a multi-level or underground parking lot, the app will suggest to take a picture to remember where you parked since the app can't record locations where GPS signal is poor. This happened to me when I parked at the San Francisco airport's short term parking lot. For places with good GPS signals, the ZUS app worked flawlessly.